The division was created for the first Legislative Assembly election in 1974. It was named after the town of Nhulunbuy on which the division is based. Nhulunbuy derived its name from the Yirrkala people’s name for Mt. Saunders, which is adjacent to the town. 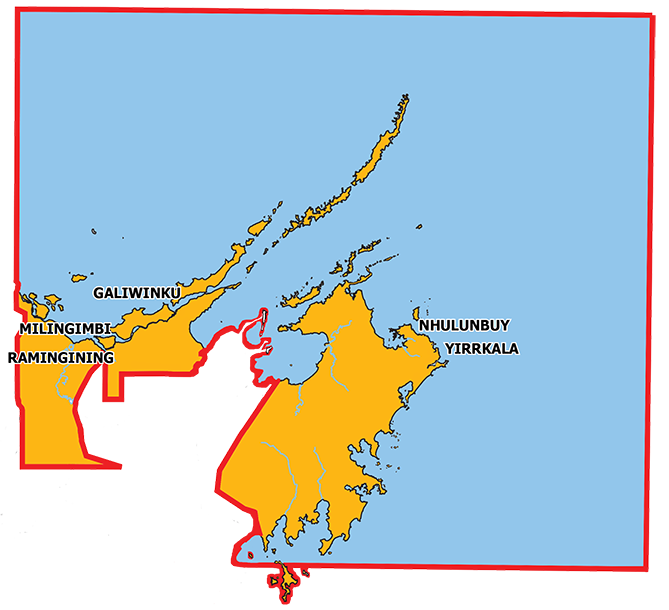 The 2015 redistribution saw Nhulunbuy gain Milingimbi and Ramingining from the division of Arnhem. On the Gove Peninsula, this division includes the town of Nhulunbuy and the communities of Galiwin'ku, Milingimbi, Ramingining, Yirrkala and their outstations.